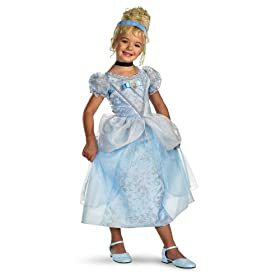 If you're looking to snag a Cinderella costume for your little girl, hurry over to Amazon and check this one out! It's currently priced at $20, which is 50% off the regular price! The costume includes the headpiece and choker, and it ships free if your order totals $25 or more. This one is only available in size 4-6x.